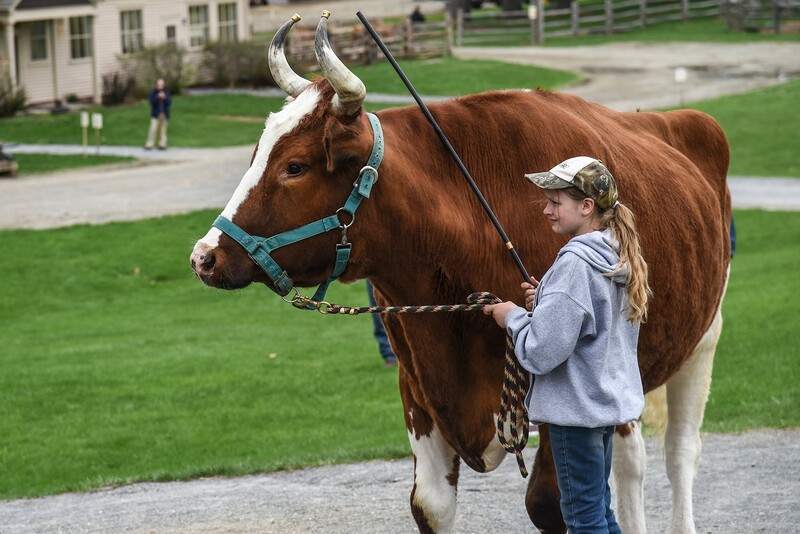 Draft Animal Day | Billings Farm & Museum | Science & Nature, Nature & Science | Kids VT - small people, big ideas! When: Sun., May 12, 10 a.m.-5 p.m.
Price: regular museum admission, $4-16; free for children under 3; mothers receive free admission for Mother's Day. Teams of oxen, working steers and draft horses wow visitors with large animal power in the Billings Farm fields. 4H students demonstrate their knowledge and skills by putting their animals through obstacle courses and showcasing their teams in the Working Steer & Oxen Parade.